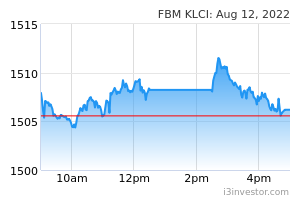 Despite opening in the red, the FBM KLCI closed higher together with its regional peers, lifted by buying-interest in selected heavyweights. 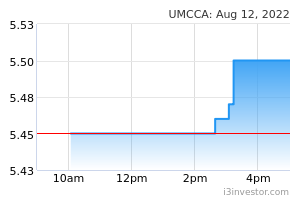 All of the lower liners - the FBM Small Cap (+0.7%), FBM Fledgling (+0.4%) and FBM ACE (+1.2%), also finished stronger amid a mostly positive broader market. Market breadth turned positive on a ratio of 469-to-387 stocks, while traded volumes gained 19.1% to 2.21 bln shares, lifted by the extended buying-support in the lower liners. 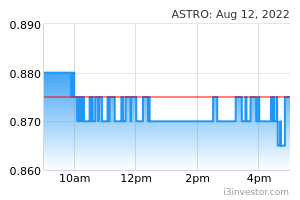 Among the key-index gainers were Tenaga Nasional (+34.0 sen), Axiata (+19.0 sen), MISC (+11.0 sen), Kuala Lumpur Kepong (+8.0 sen) and Hap Seng Consolidated (+5.0 sen). Meanwhile, broader market winners include consumer products-related counters like Ajinomoto (+22.0 sen), QL Resources (+20.0 sen) and Kawan Food (+17.0 sen), followed by Kotra Industries (+15.0 sen) and Tasek Corporation (+15.0 sen). On the other hand, BAT (-RM1.12), Chin Teck Plantations (-20.0 sen), Rapid Synergy (-15.0 sen), DKLS Industries (- 13.0 sen) and Ideal United Bintang (-13.0 sen) underperformed its peers. Genting Malaysia (-9.0 sen), Petronas Chemicals (-7.0 sen), Genting (-4.0 sen), KLCC (-4.0 sen) and Petronas Dagangan (-4.0 sen) were the Main Board’s main lower. Key regional stockmarkets shrugged off ongoing trade uncertainties and closed firmly in the green over the U.S. Federal Reserve’s two-day meeting. 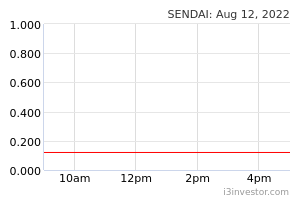 The Nikkei (+0.4%) pared earlier losses and ended higher. 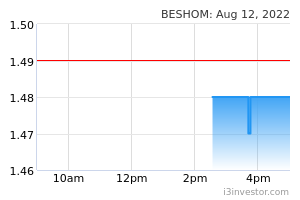 The Shanghai Composite and Hang Seng Index, meanwhile, also rose 0.9% and 1.2% respectively. ASEAN stockmarkets followed suit, closing mostly higher at the end of the Wednesday session.  Wall Street ended with losses following a widely expected interest rate hike and a more dovish monetary outlook from the U.S. Federal Reserve. 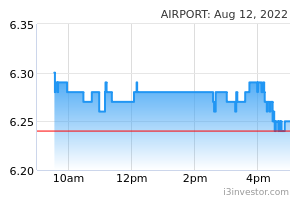 The Dow erased 0.4%, weighed down by banking heavyweights. Meanwhile, tech-heavy indices like the S&P 500 (-0.3%) and the Nasdaq (-0.2%) retreated. Key European indices ended with meagre gains on Wednesday, as investors monitor the U.S. Federal Reserve’s monetary policy for clues of future interest rates hikes. 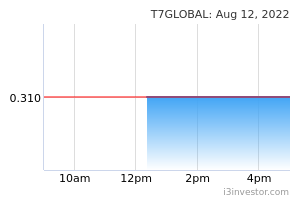 The FTSE (+0.1%) flatlined as investors digest news from the corporate front. Meanwhile, the CAC and DAX also advanced by 0.6% and 0.1% respectively despite the ongoing political turmoil. Although leads were far and in between, the key index staged a rebound in tandem with most regional bourses to help it break its streak of losses. However, we think that the broad market environment is still wary, unsettled by the trade war concerns and the latest U.S. interest rate hike in that could entice more funds away from emerging markets shares. Therefore, we think that the general market outlook is still looking uncertain and we see the market remaining mixed for now. At the same time, investor participation remains insipid due to the lack of catalyst and we see this trend persisting for longer. With the key index likely to stay rangebound, we think it will linger with the 1,795 and 1,805 over the near term. The lower liners and broader market shares, however, looks to sustain their recovery despite the low investor participation with bouts of bargain hunting activities providing the impetus for further upsides. 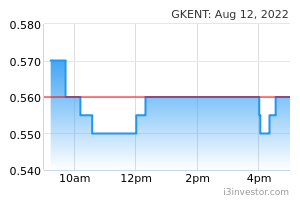 George Kent (Malaysia) Bhd’s 2QFY19 net profit fell 3.1% Y.o.Y to RM24.6 mln, affected by the restructuring of the LRT3 project. Revenue for the quarter declined 39.8% Y.o.Y to RM112.9 mln. 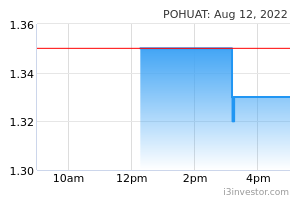 Poh Huat Resources Holdings Bhd’s 3QFY18 net profit declined 4.7% Y.o.Y to RM9.2 mln as its Vietnamese operations faced stiffer competition and lower sales. Revenue for the quarter declined 4.3% Y.o.Y to RM145.0 mln. 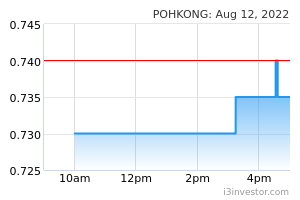 Poh Kong Holdings Bhd’s 4QFY18 net profit shed 37.6% Y.o.Y to RM8.9 mln, impacted by the fluctuation in gold prices. Revenue for the quarter, however, gained 4.7% Y.o.Y to RM272.2 mln.